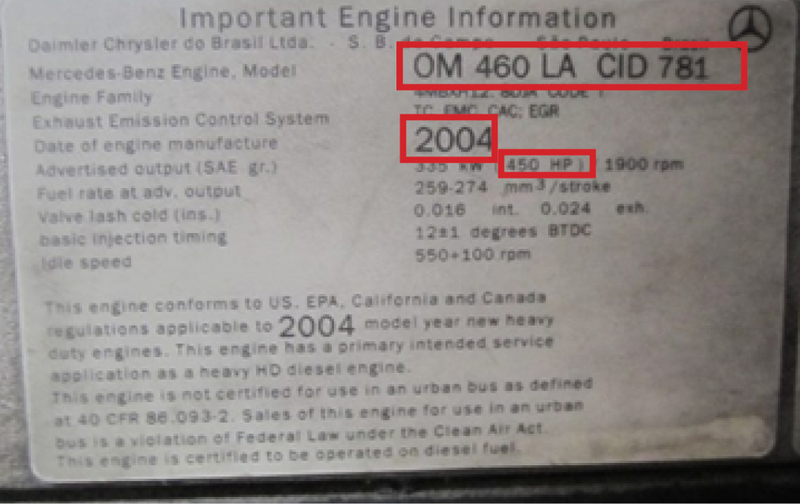 Engine family name is required to determine the trucks eligibility for the program. The EPA engine family name is a 12 character alpha-numeric identification located on the engine nameplate of all heavy duty truck engines sold in the United States. In general, the nameplate is permanently affixed to the engine. 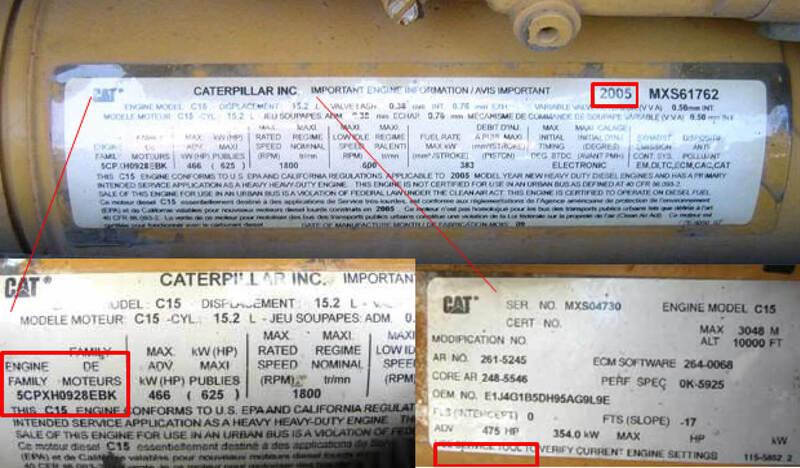 The exact location and appearance of the nameplate varies by engine manufacturer. 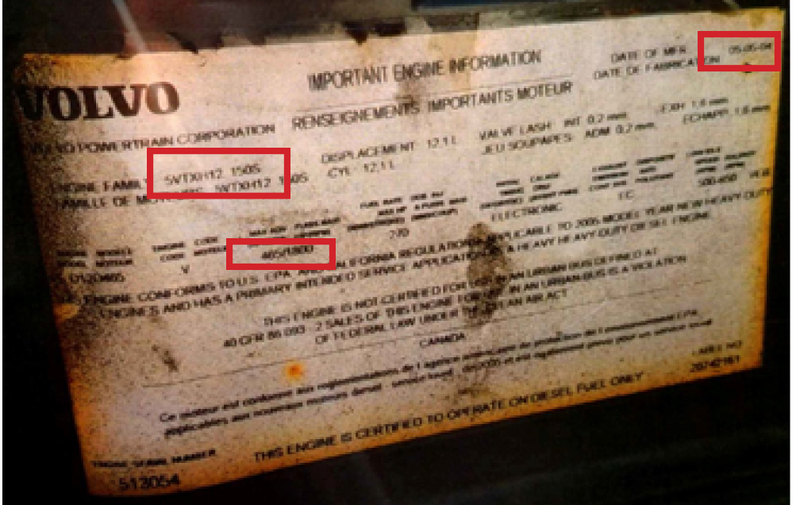 Examples of nameplates from three major engine manufacturers are shown below.